Need a plumber in Orange County? Choose Us. From commercial to residential plumbing services, you can always depend on OC Plumber to assist you for your plumbing needs. Not immediately addressing a small plumbing issue can lead to a huge problem down the road, which can become a costly expense in your home or workplace. Moreover, often time small plumbing jobs can appear to be a simple task but turn out to be a more complex project than initially thought. So why not be safer than sorry and call a local plumber to handle your plumbing issues and there's no better plumber to call in Orange County than than OC Plumber. 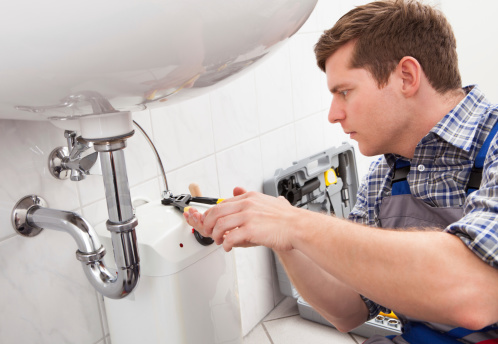 As one of the leading plumbing service providers, you can depend on us for emergency services to general plumbing maintenance. Our technicians are well versed in a range of specializations including drain cleaning, leak detection, and water damage restoration to name a few. We offer all types of plumbing from flood restoration, slab leak repair, water heater repair, water extraction and more! We offer 24/7 emergency plumbing services. We provide a wide range of plumbing services for all types of properties, including commercial, residential, and government owned. With over 20 years of experience in the industry, our team consists of highly trained and experienced property inspectors, plumbers, cleaners, technicians, and support staff that are here to assist you and ensure that your property will be in the best possible condition. We understand that different types of properties will have different types of issues. Accidents happen and emergencies can arise at any time. For instance, a water damage situation, a flood leak, or any type of plumbing issue can occur at any time and leave you helpless. This is why we offer emergency plumbing services around the clock and throughout the year. Once you give us a call, we will be at your doorstep within 60 minutes with a team to assist you with your plumbing needs. We provide affordable and customized plumbing services. Slab leak Repair and Detection. When it comes to plumbing services, we have one of the best teams in the country. We offer various discounts on big jobs and also provide services for insured customers. In other words, all you have to do is sign the agreement and we will manage all the legalities and paperwork from there. But if you’re not sure about what we can do, you can always call us in for free consultation and estimate. If your property is showing signs of a plumbing issue, then don’t wait on it, otherwise you will only increase your costs of repair. We can help you with all your plumbing issues at any time.